Pacific Northwest – Jeremy Spoon, Ph.D.
Fort Vancouver was and continues to be a hub for the exchange of knowledge,values, and ideas between diverse peoples. Long before European contact, the Chinookan people of the Fort Vancouver area lived in a place of convergence, hosting visitors traveling and trading from every direction. During the Hudson Bay Company era (1820s-1840s), the range of visitors expanded dramatically, as Fort Vancouver became a trading center of global significance –hosting Native Americans from the Pacific Norwest, but also tribes from other parts of North America, Metis, Native Hawaiians, French-Canadians, and many others. Inhabitants and visitors originated from places with different natural resources and unique cultural traditions; communication depended on everyone who gathered here finding shared languages and ideas. Through the exchange of knowledge, old traditions persisted and new ones emerged that incorporated multiple ways of knowing. Fort Vancouver still resonates with the spirit of these cross-cultural exchanges. 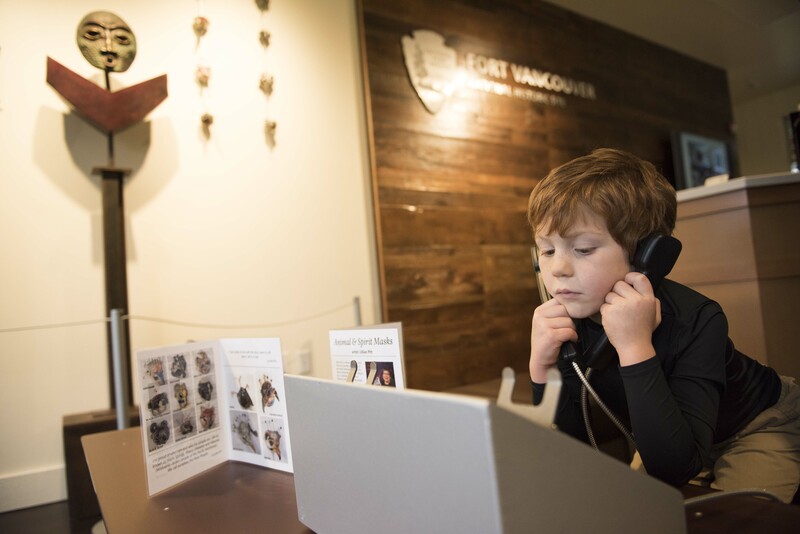 Today, the National Park Service seeks to find ways to reach out and speak to new people, in the growing and increasingly diverse urban settings of metropolitan Portland and Vancouver. Working alongside the descendants of the many peoples who were part of the Fort community generations ago, the staff at Fort Vancouver National Historical Site seek to help the people of today understand the unique importance of this place in the history, but also the future, of the Pacific Northwest. 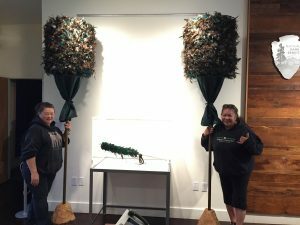 In the spirit of Fort Vancouver’s multi-cultural heritage, this exhibit brings to life the voices and artistic traditions of the many peoples with historic connections to the Fort Vancouver community.Artists choose their own media and messages. All of the featured artists start from the question of how, at this point in our shared history, they might seek to communicate their heritage, ideas, knowledge, and values with diverse peoples, who continue to converge at this unique place. 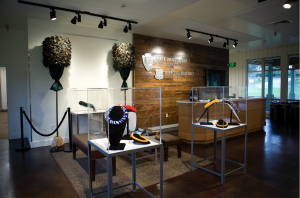 Fort Vancouver National Historic Site (FOVA) serves to protect and commemorate one of the most historically significant landmarks in the western United States. From 1825 through 1849, Fort Vancouver was the site of the Hudson’s Bay Company’s headquarters for all operations west of the Rocky Mountains; through the latter half of the 19 century, the site was reoccupied by a military fort that administered the “Indian Wars of the Pacific Northwest. 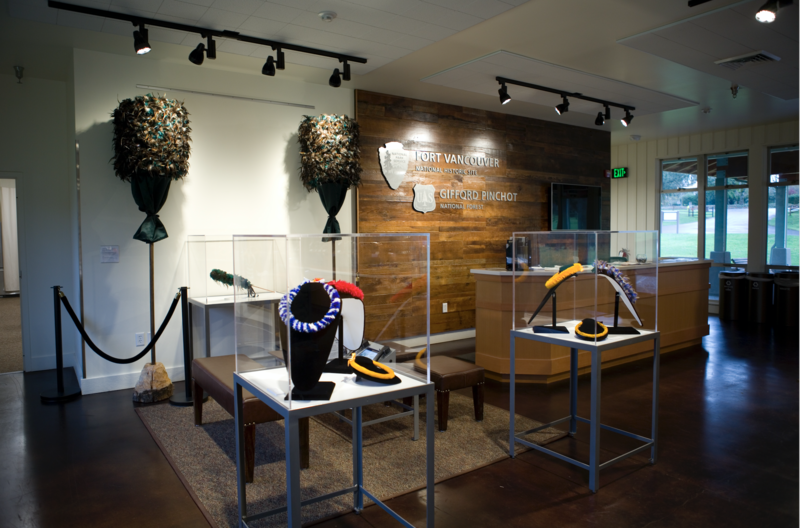 In this capacity, the Fort was a primary hub for cross-cultural interactions throughout the historical Pacific Northwest. The list of American Indian tribes, Canadian First Nations, and Native Hawaiian organizations that have historical ties to this site, and continue to share stories of their ties to It, is notably long and diverse. This project seeks to recover, document, and share with the public this rich history, rooted largely in the perspectives and recollections of indigenous peoples. 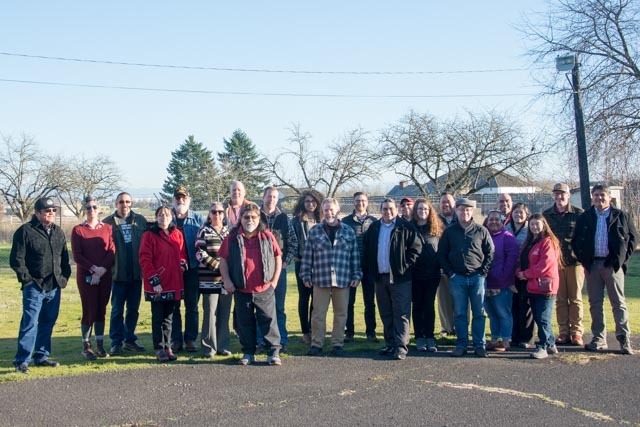 The National Park Service and Portland State University will collaborate to develop a Traditional Use Study or TUS. A TUS produces information that will allow for the better management and protection of cultural resources. A Working Group” format for collaborating with multiple Native American tribes and Native Hawaiian organizations will be utilized to share knowledge, perspectives, and concerns from a diverse range of stakeholders. This process will document this oral history through a systematic ethnographic or oral history interviewing process involving interested tribal communities in support of both FOVA interpretation and archaeological resource management. The project will produce a Traditional Use Study for FOVA that will be shared to increase public awareness, knowledge, and support for FOVA’s unique cultural resources and archaeological heritage.